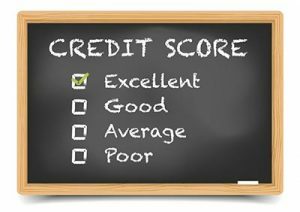 Whether you are hoping to buy a home next month or next year, it is important to realize that your credit score (also known as your FICO Score) and credit profile play a significant role in your ability to qualify for a mortgage. You should also know that your credit report is one of the first things a lender will look at when reviewing your file. There are a few simple habits you can practice that will help you to ensure that your credit report isn’t something that can stand in the way to your home ownership. One of the best things you can do for your credit score, and one of the simplest habits to practice, is to pay all of your monthly bills on time. That means making sure your payments for your electric, gas, cell phone, credit cards, student loans, etc., are all made promptly every month! One late payment can significantly affect your credit score and rebounding after a late payment can take time. There are lots of ways modern technology can help you remember to make your payments on time. Whether you sign up for auto-pay, get email reminders, or set a monthly alarm on your phone or computer, this is one of the simplest and most important things you can do to maintain a healthy credit score. Another great step to a healthy credit score and profile is to use credit cards correctly. But what does using them correctly mean? It means making on time payments, as mentioned above, and keeping the balances low. A good rule of thumb is to have your usage under 30%, but the lower the better. Remember, your balance is only reported to the credit bureaus once a month. This means that if you repeatedly max out your credit cards, even if you pay them down every month, you may be cheating yourself out of a good score if the high balance is what is reported to the credit bureaus. You may be able to find out your credit reporting date from the card issuer to plan your payments, but better yet – keep your credit card balances low all month long. Finally, keep those accounts open! You may no longer use that store credit card, or perhaps you feel like your wallet has become jam-packed with too many credit cards, but there is something to be said about the benefits of age here. If you can keep an account in good standing for years it will be a much better addition to your credit profile. Be mindful as your shopping habits change that even with the addition of new credit cards, keeping older accounts active is a good thing. It’s never too late to start practicing good habits for your financial well being! These three simple steps can help you start or continue down the path to a better credit score and your future home purchase. If you are interested in purchasing a home, whether it’s as soon as possible or sometime in the near future, give Maple Tree Funding a call at 518-782-1202 or fill out our simple online application form to get pre-qualified today. Interested in learning more about your credit score, what it means, and how to improve it? Check out our post about home mortgages and credit scores for everything you need to know if you’re wondering about how your credit score might impact your ability to qualify for a mortgage.